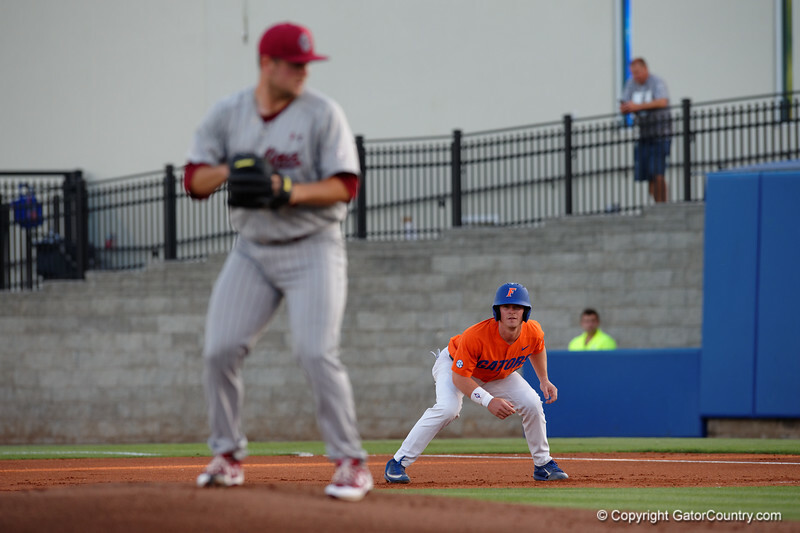 University of Florida Gators infielder Deacon Liput leading off from first base as the Gators fall 4-2 to the South Carolina Gamecocks at McKethan Stadium. April 21st, 2017. Gator Country photo by David Bowie.